On these pages you will see pedestals made for a church to hold statues. 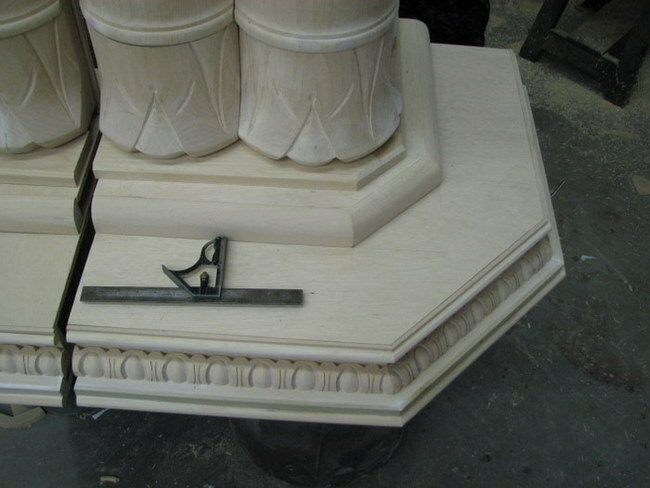 Unfortunately prior photos are not available to show how the columns were made along with the capitals but you can see the results of the turnings and carvings as well as the egg and dart moldings. 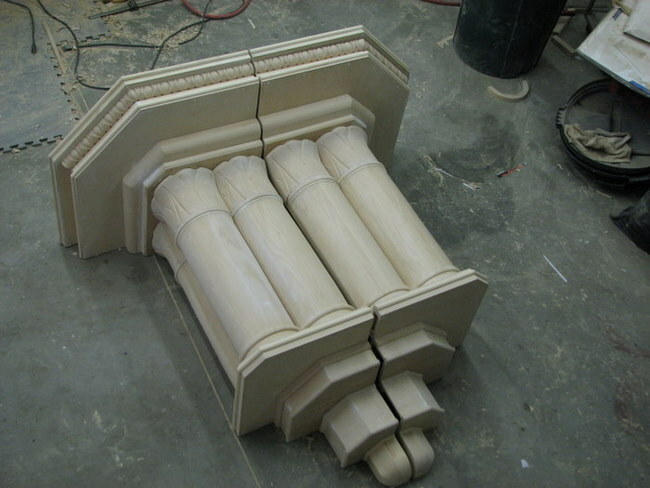 This is a very popular molding of which I have done hundreds of feet of it in all types of wood. If you visit this blog in the future, chances are good that more of this molding will show up to be carved. If it doesn’t, and there is a demand,,I’ll just simply do a tutorial on how I carve this very old and traditional molding.